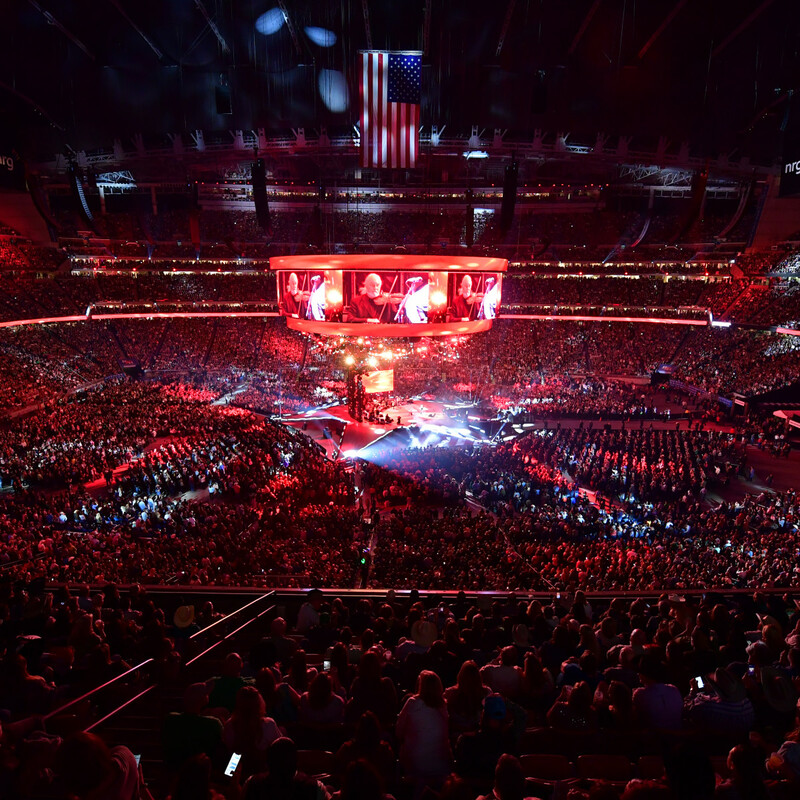 Country legend George Strait closed out RodeoHouston 2019 in style on Sunday, March 18, breaking the NRG Stadium attendance record he set back in 2013, attracting 80,108 country fans to see him play over two hours, and covering almost all the biggest hits of his career. 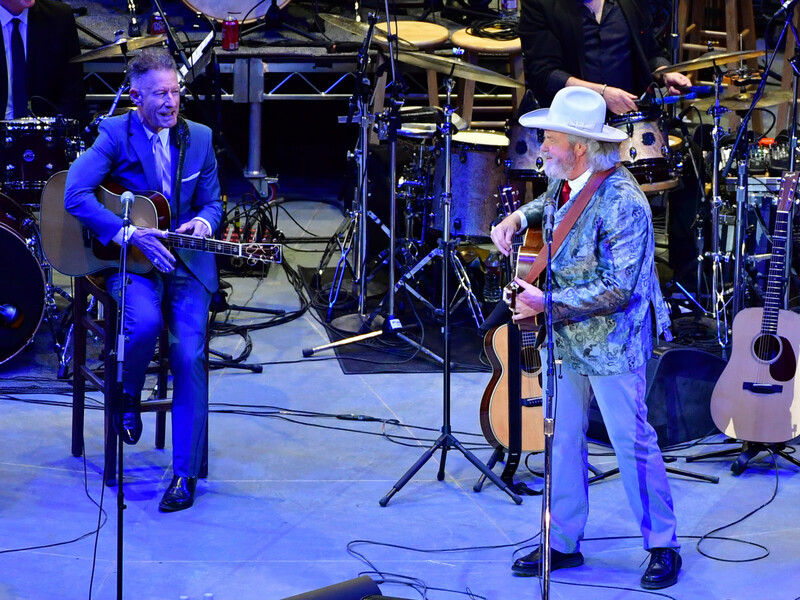 It was a Texas-strong lineup all around, with popular regional country artists Robert Earl Keen and Lyle Lovett kicking things off with an hour-long set. 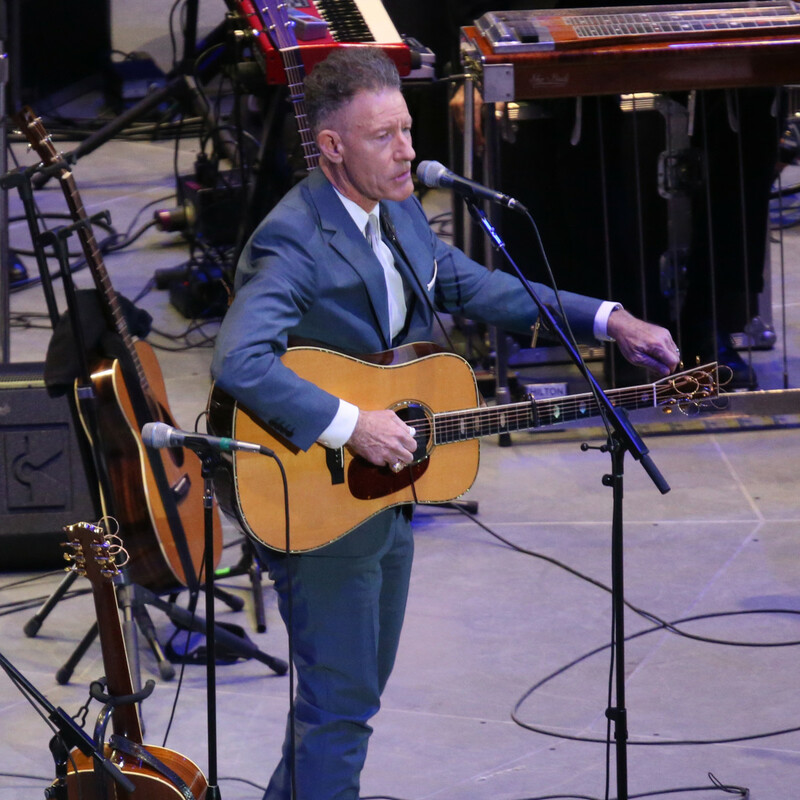 The two Houston-raised performers traded off songs, with Lovett's rootsy take on the genre giving way to Keen's celebratory shuffle. 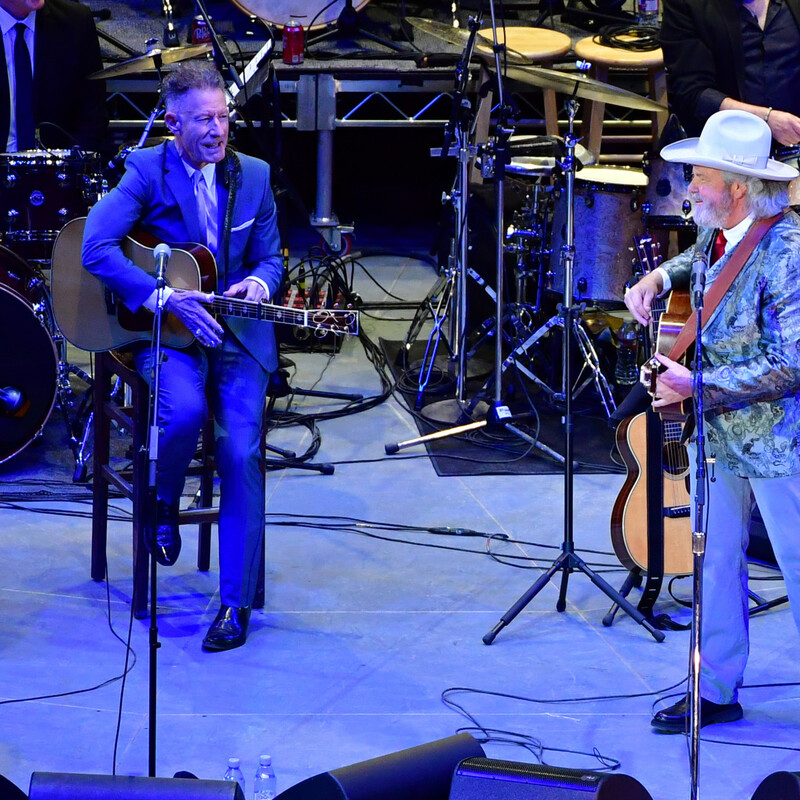 Lovett shined on "Church," which turned NRG into a Sunday revivalist revue; and Keen rocked "Shades of Grey" with a jacket and hair to match that song's title, before the two teamed up for a duet of "This Old Porch," recalling the dirt, grit, and humidity of a hot Texas summer evening. 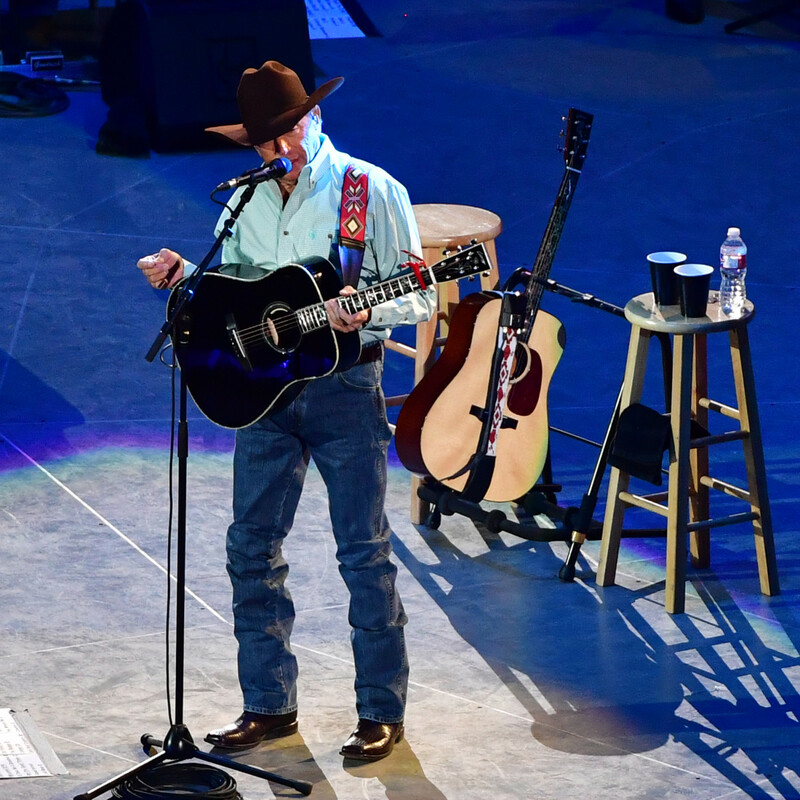 Following a 30-minute intermission, Strait walked out of the tunnel to thunderous applause, flashing his famously handsome smile, dressed in a plaid green dress shirt, brown cowboy hat, jeans, and cowboy boots. 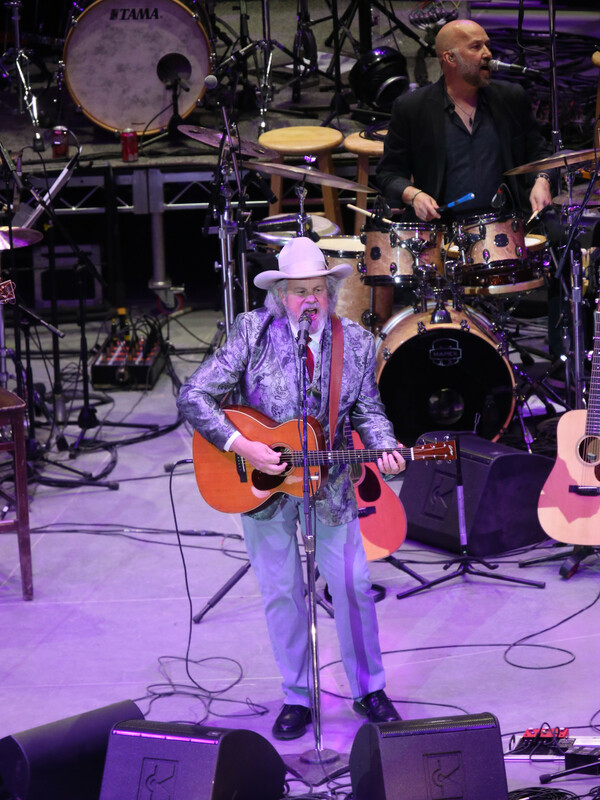 The 66-year-old acknowledged the crowd and quickly got into his No. 1 song "Write This Down," from 1999's Always Never the Same, backed by an 11-piece band that brought a well-rounded and big sound to the proceedings. 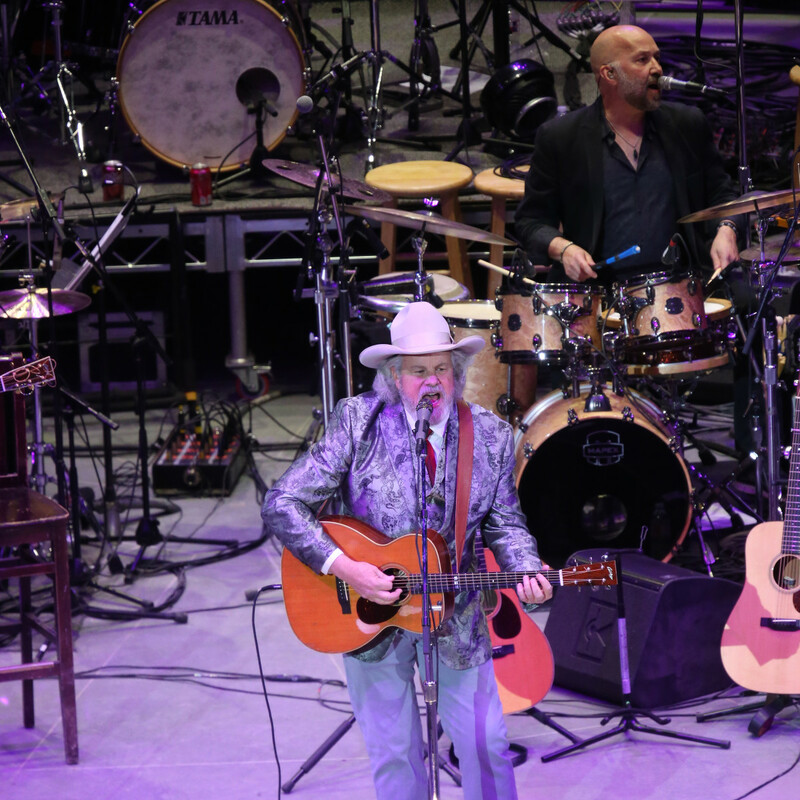 But this was Strait's show, and he stood front-and-center throughout, letting his one-of-a-kind crooner baritone do much of the work throughout the insane, 32-song setlist, not moving much from his spot in front of the microphone. 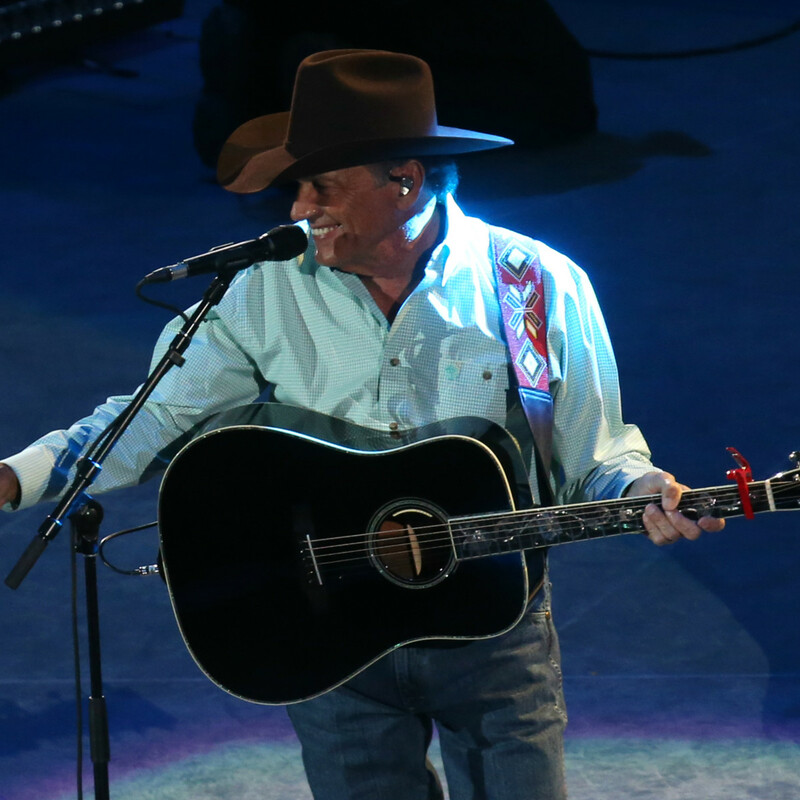 His performance of classic traditionalist country spanned decades of No. 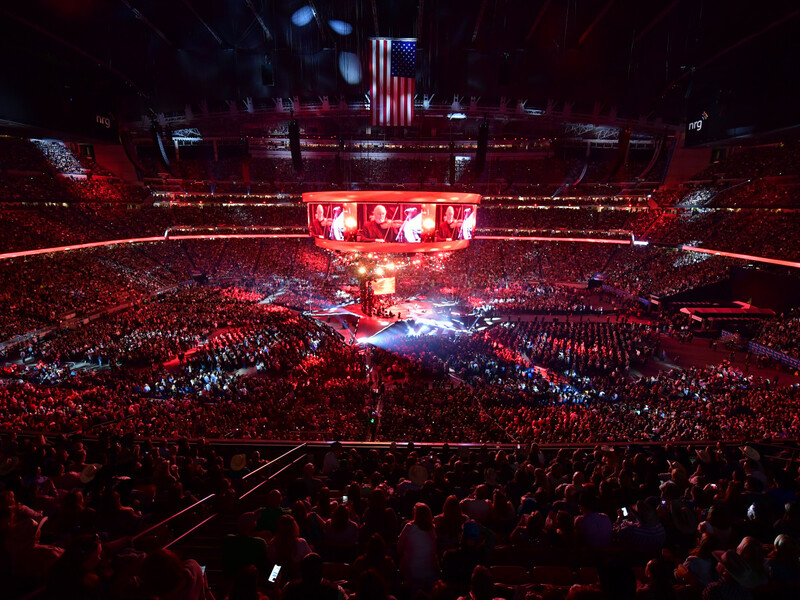 1 songs, and the venue was packed to the rafters and on the floor, which was specially opened for the last of an overall successful season of performances for RodeoHouston. 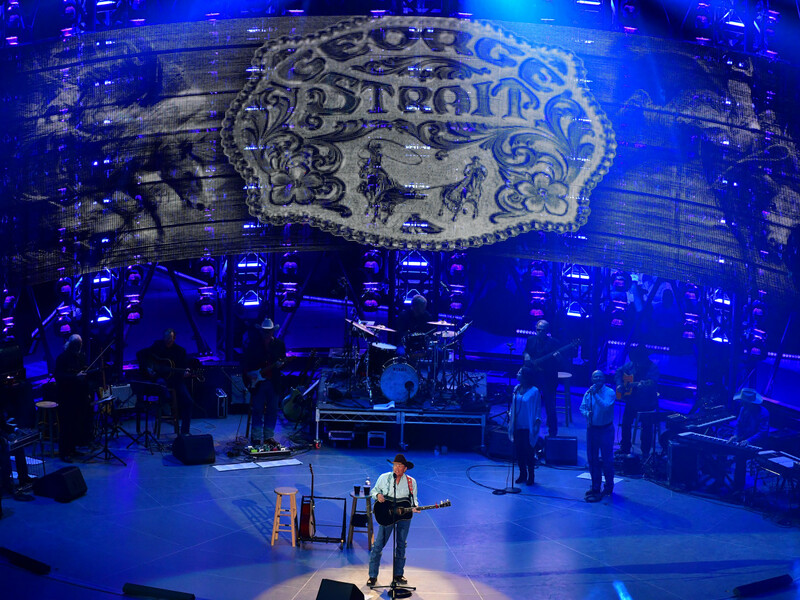 It might have been the most diverse lineup in recent memory of the three-week-long event, but Strait brought it back to its roots, the walking definition of a rodeo performer. The second-highest selling male country artist of all time (only behind Garth Brooks) and record-holder for most country No. 1 songs locked into a groove of faster-paced numbers, followed by a couple of slow dance songs, which the crowd on the NRG floor obliged by finding themselves waltz partners. To more casual fans, this rhythm of song selection might've been a bit tiresome, but if you were a Strait diehard, you would be hard pressed to find any fault with this show. 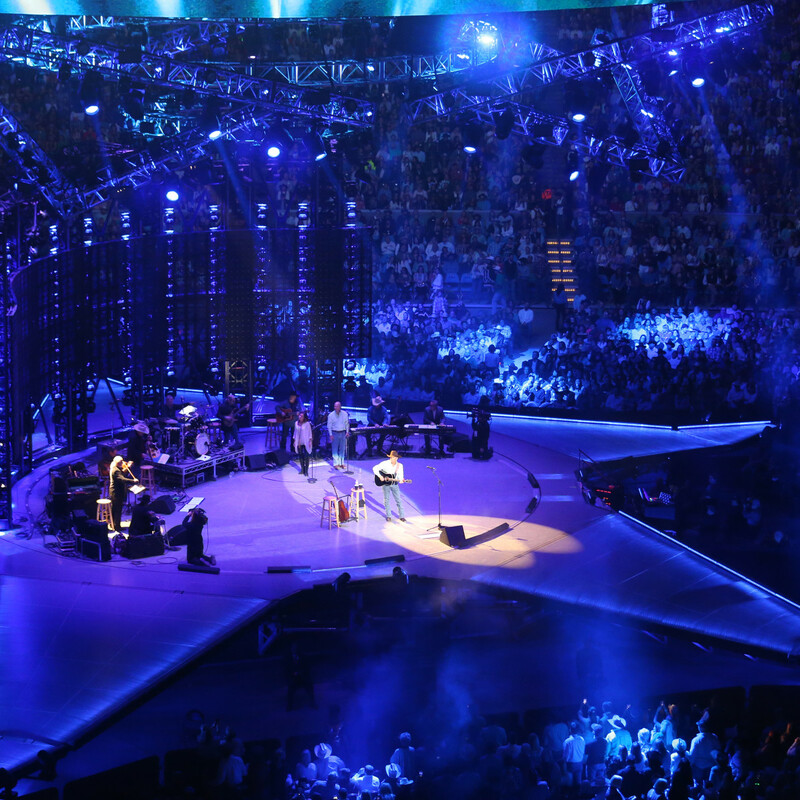 A handful of songs incorporated heavy rodeo imagery, both in lyrics and in production, with Strait even alluding to his first appearance at the event way back in 1983, with photos from his first appearance flashing on screen during "Troubadour" from the 2008 album of the same name. 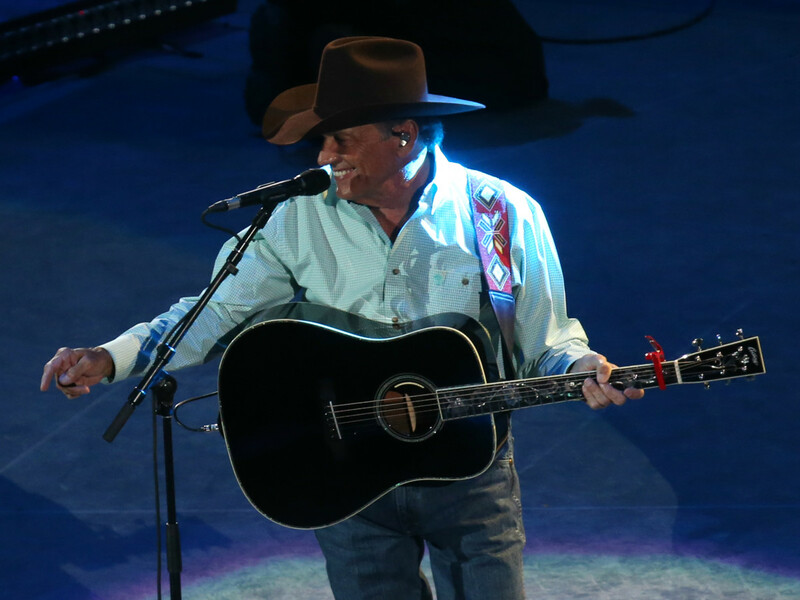 All the big ones made the final cut: "Check Yes or No" from 1995's Strait Out of the Box; "The Fireman" from 1985's Does Fort Worth Ever Cross Your Mind; "The Chair" from 1985's Something Special; and the soulful, perfection of a country song "Amarillo By Morning" from 1982's Strait from the Heart, which Strait called his "most favorite song, ever." 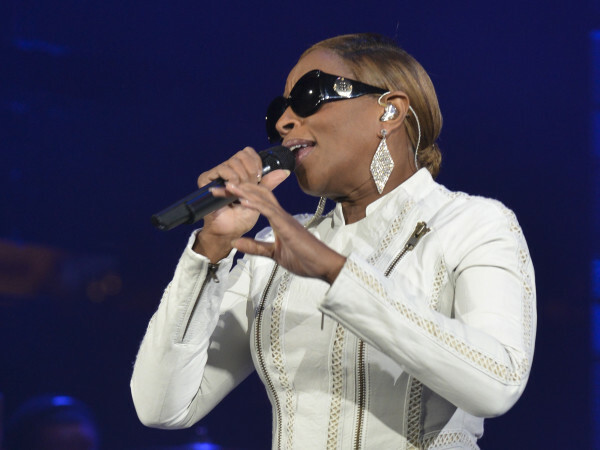 So many more were either chart-toppers or major country hits. 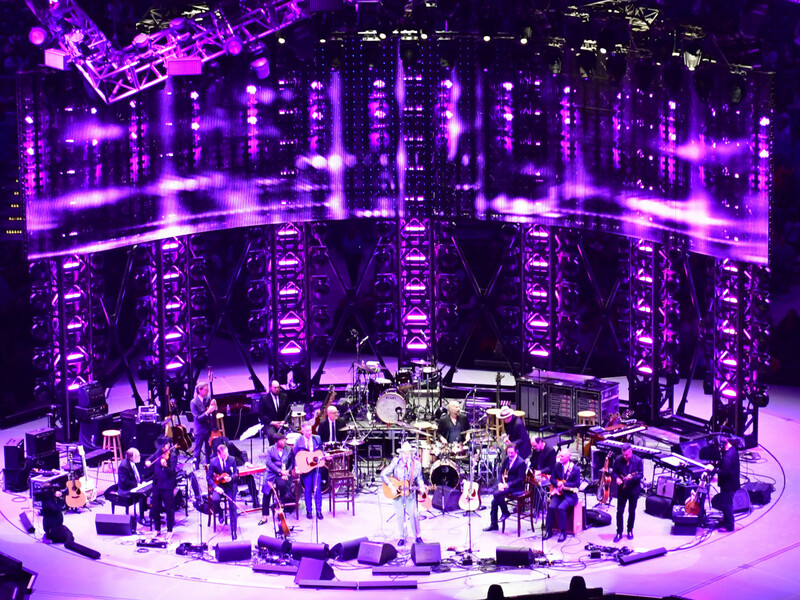 As a rodeo tradition, covers found their way into the set, including two from another legend, Merle Haggard, the old school twang of “You Take Me for Granted” and “Are the Good Times Really Over," recalling the best of the AM radio dial. 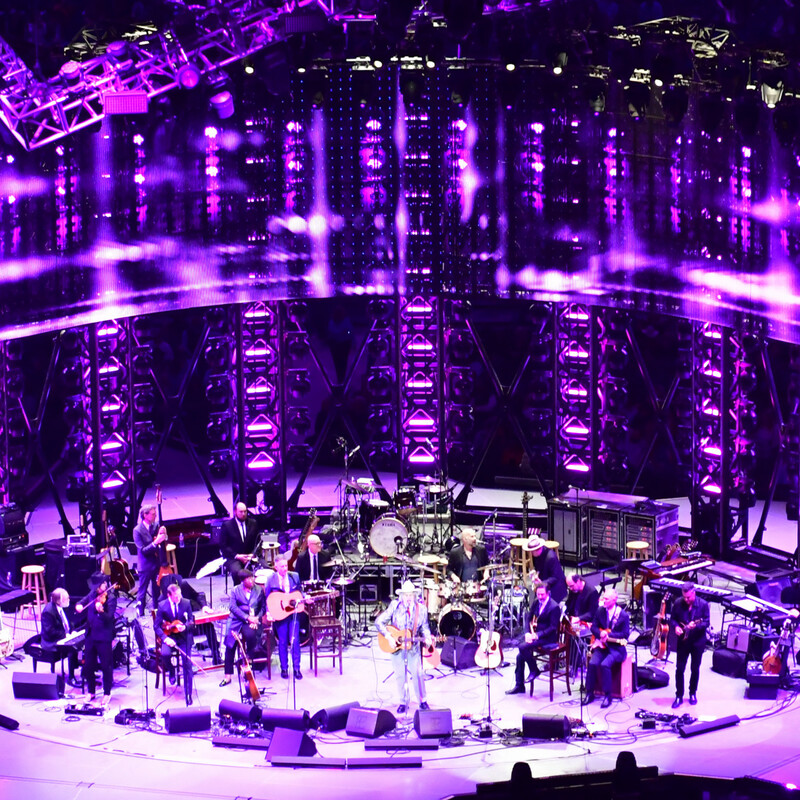 The encore also featured an inspired version of Tom Petty's "You Wreck Me," a classy nod by Strait to that acclaimed singer-songwriter's recent passing. 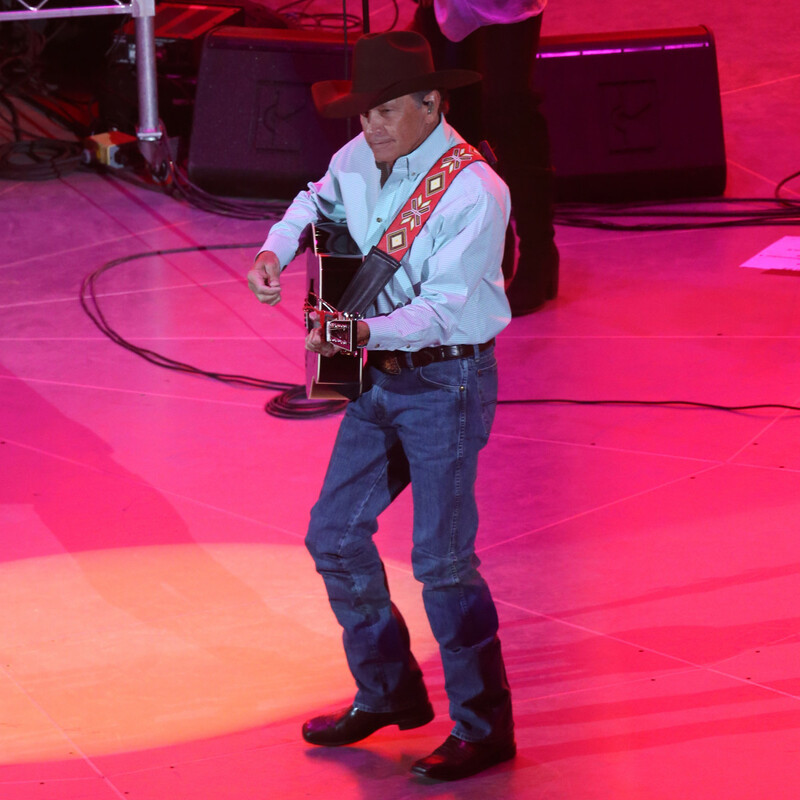 Another highlight included a duet with the youngest performer at RodeoHouston this year when the adorable George Harvey Strait III joined his bubba onstage to sing back-up on "God and Country Music" from the forthcoming, sure-fire hit album, Honky Tonk Time Machine, set to be released later this year. 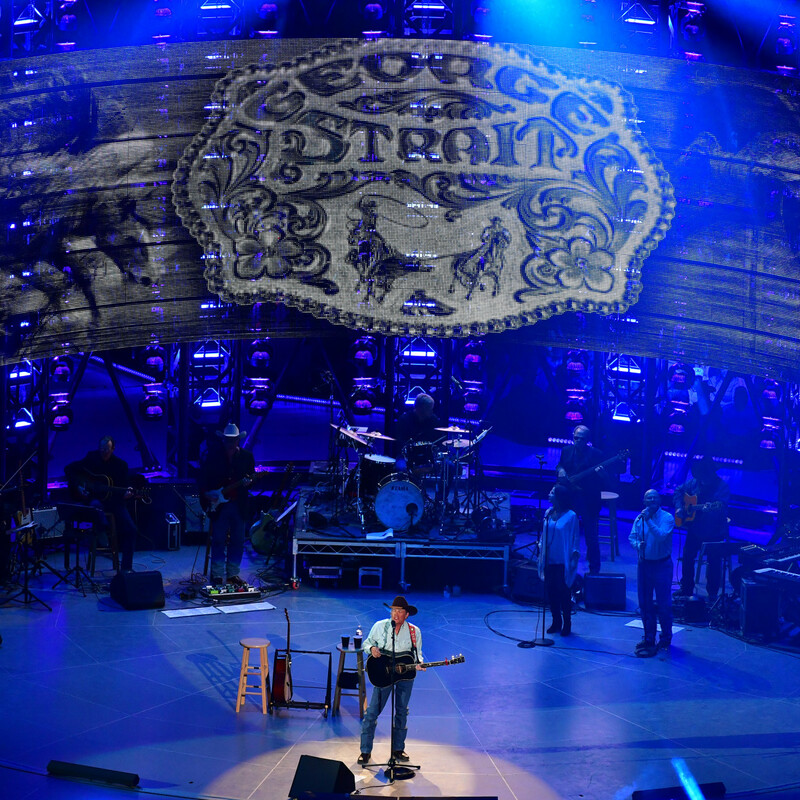 "What a way to start your singing career, in front of 80,000 people," Strait exclaimed following the song. 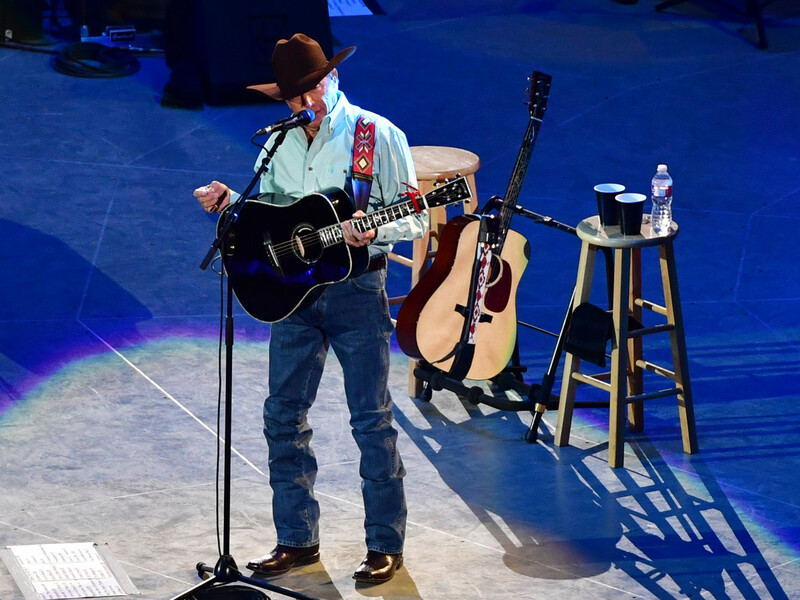 One of the best numbers of the night came in the form of what should be that album's first single, "Every Little Honky Tonk Bar," Strait's strongest tune in years with its clever lyrics and giddy-up beat. 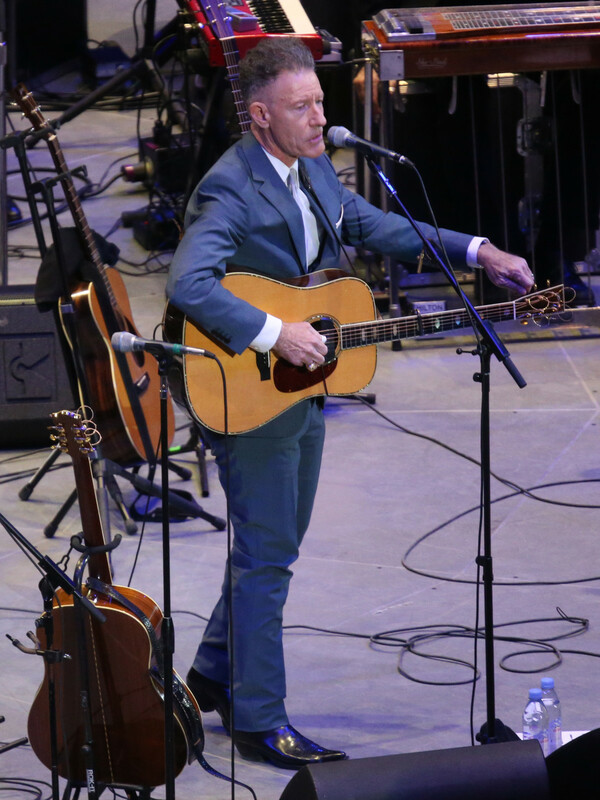 He also performed "Codigo," another cut from that album, and while it sounded great, having a song about your own brand of tequila seems a little too on the nose. 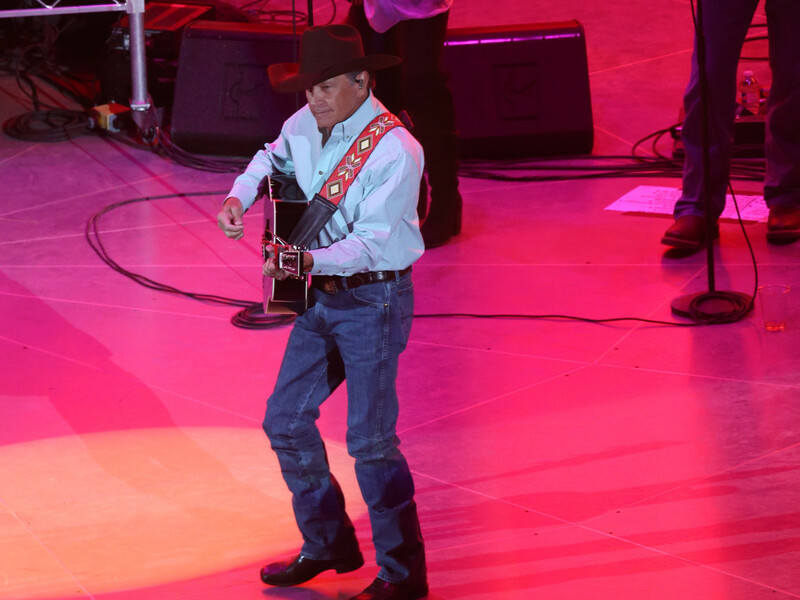 But the biggest applause came when Strait came out for an encore of four songs, the mandatory "All My Exes Live In Texas" from 1987's Ocean Front Property, "I Cross My Heart," from 1992's Pure Country, the aforementioned Petty number, and wrapping up with "Cowboys Like Us" from the 2003 album, Honkytonkville. 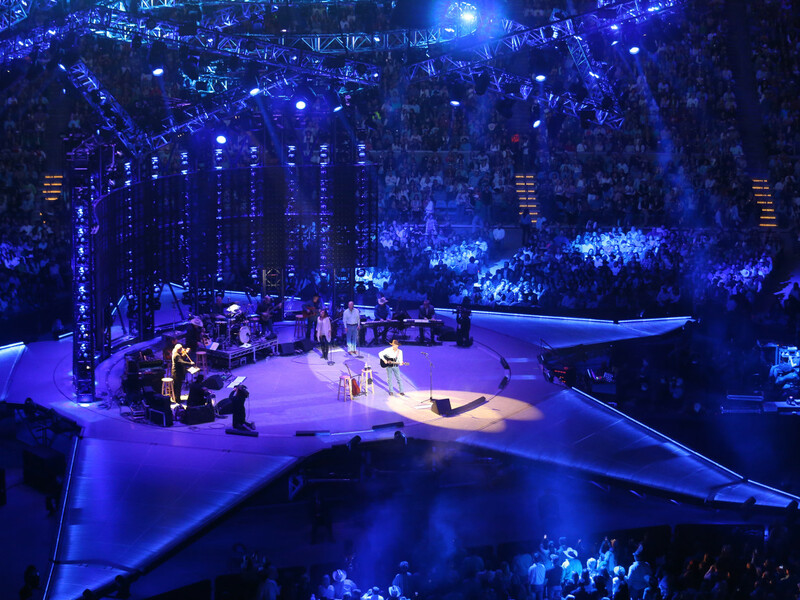 Though the show ended well after 10:30 pm, NRG remained nearly full throughout, a testament to the power that Strait and his still dominant, timeless voice carried among his fans, most especially in his second home at RodeoHouston. Let's hope it won't take another six years to get him back.